With decades of experience in manufacturing high quality heat treating equipment, Charles A. Hones, Inc. designs, manufactures, and installs industrial ribbon burners and more. A natural gas or ribbon pipe burner from the Charles A. Hones, Inc. can be customized according to the client’s preferences and specs. Common applications include tank heating, bakery ovens, cookers & barbecues, processing tanks, and melters. Choosing the right heat treating equipment is crucial for creating the best products for your specific industry. Our ribbon burners are designed to be as efficient as possible. 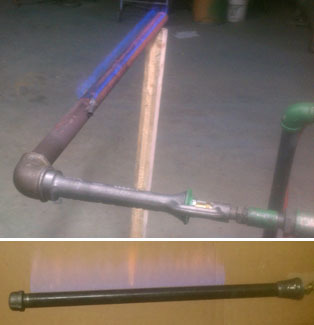 These are manufactured to produce the right amount of heat for any kind of application. All of our ribbon burners are proudly manufactured in the USA.